Nature-oriented Architecture, Interior, Furniture, City-Planning, Graphic, Art etc. Fujiki Studio :　Ryumei Fujiki is studying on various research focuses at Fujiki Studio of Kogakuin University School of Architecture (KOU::ARC), specializing in environmental and　experimental architecture. Yukiko Sato joined F.A.D.S as a design partner since 2000. She graduated from Japan Women's University. 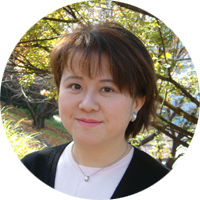 Now, She is teaching at Japan Women's University as a Lecturer. F.A.D.S has made numerous practical works in Japan. Ryumei (Takaaki) Fujiki completed his MA and the Doctor of Engineering at the University of Tokyo under Prof. Hiroshi Hara and Prof. Akira Fujii. He founded F.A.D.S in 1991. 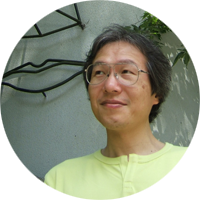 He has been teaching as a professor at the department of architecture of Kogakuin University (KOU: :ARC) ,Tokyo since 2001. He has a great interest in nature especially the advanced system of nature. Invited Participation in "Every Place is the Heart of the World"
Copyright © 1991- F.A.D.S (Fujiki Architectural Design Studio). All Rights Reserved.